April 15th is Carolina Hurricanes Day in Raleigh! 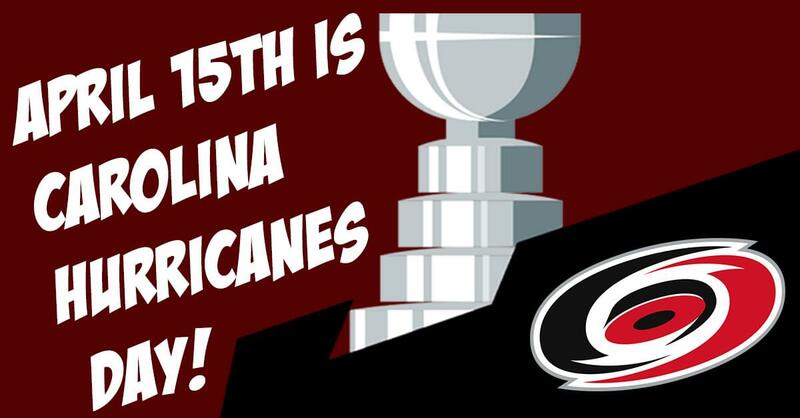 The Hurricanes have secured a place in the 2019 Stanley Cup Playoffs and Raleigh is celebrating! The city has declared April 15th ‘Carolina Hurricanes Day’ and is asking people to wear Hurricanes colors to work or school to show their love and support for the team. The Hurricanes are in the middle of their best-of-seven series, games 3 & 4 will be played at Raleigh’s PNC Arena! Let’s go Canes!